At the beginning of 2015, looking at the objectives for the year, the execution looked a tall order, especially as we were converting from Ananseman Playhouse to ANANSEMAN PLAY HOUSE. Working with thirty-six (36) communities with an average target audience and participants predominantly women numbering forty –five (45), Ananseman Play House engaged them in five thematic areas of the UN Sustainable Development Goals to equip them prepare to engage the children and young people within the communities who will be taken through similar exercise. 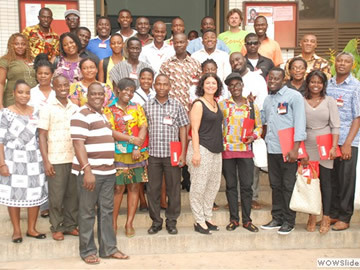 Forty-three (43) trainers of trainers and resource persons trained one hundred and sixty-five trainers who in turn held workshops and forums for sixty-one (61) Senior Secondary Schools in Ghana and over six thousand (6,000) students on the UN Sustainable Development Goals. The mode of operation is to use the art of storytelling and creative social skills in filmmaking to tell the story of the children, young people and women. Learning through playing while awarding those who excel in various categories as spelt out by Ananseman Play House. Ananseman Play House places premium on the education and empowerment of children, young people and women as a sure way to effect lasting change on society. CHANGE is achievable but through consistent teaching and reminders on the objective of the teaching. Children hold on to teachings they can relate to and do not forget them so easily. I remember a friend of mine living in Ghana with children in Europe visited the children one time and while about to drive off, he invited his daughter of six (6) years to sit in the front of the car so they could go for a ride. The child replied “my teacher says I must not sit in the front of a car until I am twelve (12)”. When you impart the right kind of teaching and training to the child, the child grows into a young person holding on dearly to the teachings. It is a known fact that children who were taught to segregate organic waste from plastics and bottles waste grew all the way into adulthood with the practice without forgetting the lessons of waste segregation. We really intend to make a difference with whoever we come into contact with. We are determined to ensure that the UN Sustainable Development Goals are achieved by 2030 especially in Ghana. Time is not the mitigating factor, money is. So kindly continue to support Ananseman Play House to reach the poor and vulnerable no matter where they are located in Ghana. ANANSEFEST is the bringing together of children and young people between the ages of 10-19 years to use film as a tool for development. Ananseman Play House took the trainers through workshops and forums to understand the UN Sustainable Development Goals and translating the understanding into films. It has been established that sports is an activity that transforms the individual and society. In leisure and competition, sports is a tool for development. The future of Ghana depends on the children and young people of today. It is a national educative programme designed at getting the children and youth in the various regions to identify, educate and solve issues that are pertinent to their locality. To bring out outcomes in the target group we deal with, we begin our first meetings with them through Interactive Lectures or Symposiums. For example, we had both symposiums and lectures on the UN Sustainable Development Goals before continuing with workshops. In 2015, Ananseman Play House has laid the foundation with GTV to air TV drama series for thirty-nine (39) weeks on five (5) thematic areas of the UN Sustainable Development Goals. Anansefest will enearth the hidden talent in the children and help them discover future profession in the creative arts. It is a welcome development that the potentials of the individual students are now being nurtured through Anansefest and we intend to partake in subsequent competitions by Ananseman Play House. National development depends on the youth and Anansefest is helping to showcase the talents of the students and youth while who will be future leaders. Our drama group was invited to participate in the Anansefest competition and we found it really informative and exciting. 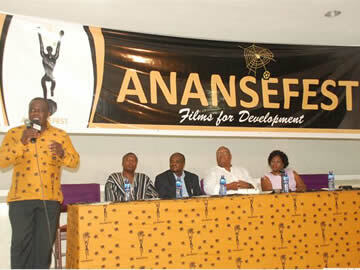 Anansefest has shifted the focus of the youth from vices and cultism to seeing that they also could be shining stars. This workshop organized for the various instructors of the participating schools and members of Team ANANSEFEST was aimed at exchanging ideas on how to train young people in filmmaking. There was a presentation by Füsun Eriksen-Director of Buster Copenhagen International Film Festival. The much awaited launch which was held at the Exhibition Hall of the National Theatre was attended by over 300 persons, the event was chaired by Mr. Nat Nunoo Amarteyfio and honoured by Dr. Bernice Heloo (Deputy Minister for Environment, Science, Technology and Information). Ananseman Playhouse, the producers of Ghana's first ever National Students’ Film Festival have had their maiden awards night at the British Council Hall on the 24th of June, 2011. 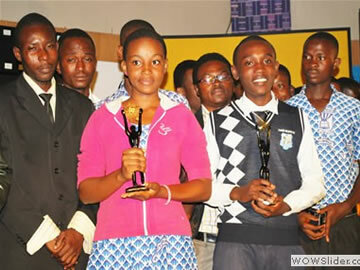 The awards night was held after the thirteen weeks of screening on GTV.